Increased the amount of people answering the telephones at the busiest time of day, and also on busy days we have two members of staff on the front desk. Ensure that we keep the posters in reception to a minimum and ensure they are in-date. 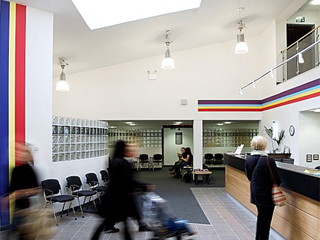 Repainted the reception area, patients toilets and clinical rooms. If you have any further suggestions or comments please let us know! We are encouraging our patients to give their views about how the practice is doing. NHS Midlands and East want you to have the best possible experience of care. The NHS Friends and Family Test is a way of gathering your feedback, so we can continually review our service. Please follow this link here and once completed return to the GP Practice. Our latest Fiends and Family Results are under our latest news. Please click here to find a copy of our complaints procedure, complaints leaflet or our easy read complaints leaflet can be viewed here. If you have a complaint or a concern about the service you have received from the doctors or any of the staff working in this practice then we would like to know about this. In the first instance we encourage you to contact our Practice Manager Claire Glover to discuss this further. Please click here to see full details of how to make a complaint. Well pharmacy (next door to us), is its own independent business and any concerns need to be made directly to them not to the practice.